Cruising the Norwegian fjords all year around. Norway has passed the Caribbian as a tourist destination for the Brits and many other groups of tourists want to visit the fjords all year around. The Norwegian cruise industry is now meeting the demand. 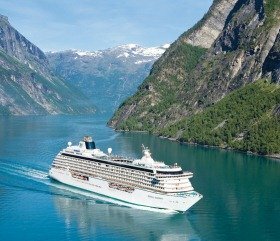 Wenche Elisabeth Eeg from Cruise Norway stated to NRK this month that cruise ships will now sail in every month of the year. She indicates that the main reason for the new routes is the Northern Lights, which have been a successful form of marketing among potential travellers. To read more, please visit The Norway Post.